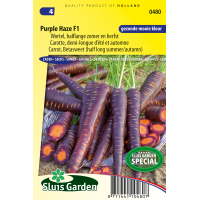 A hefty carrot (18 cm) with a deep purple colour on the outside and attractive orange flesh on the inside, enabling the Anthocyanins to be stored well. Anthocyanins help to render harmless aggressive molecules in the body and thereby have a preventative effect against cancer and cardiovascular disease. Sow thinly in rows and after emergence do not thin out. Ensure the soil is worked well deeply. 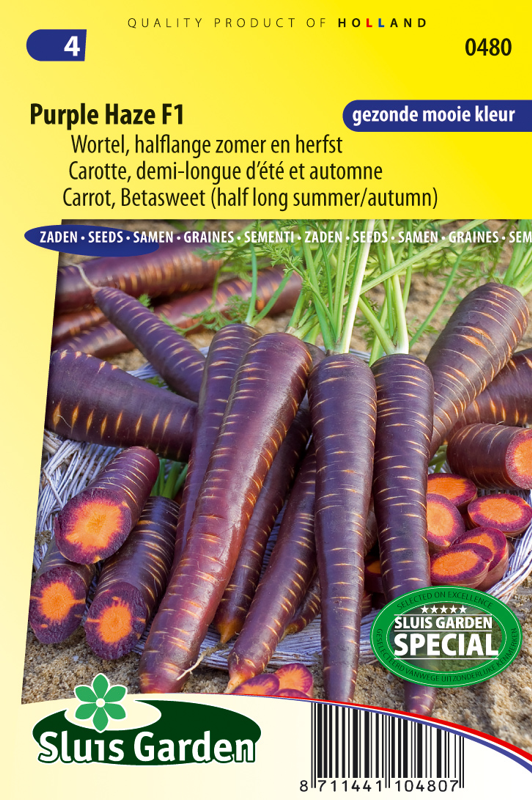 Fertilize normally and do not use any fresh farmyard manure. Much of the colour disappears when boiled.